Meredith College recently received a $50,000 gift from the Lawrence Family to support enhancements to the Dickson Foundation Community Garden. Sarah Olive Lawrence, ’40, and daughters Sally Lawrence Sandifer, ’78, ’16 (M.S. Nutrition), and Molly Lawrence Whitaker, ’79, felt this was the perfect project for their gift to support because of the love they have for the College and what the garden means to the Meredith community. Sandifer was a home economics undergraduate major, and came back to obtain her M.S. in Nutrition in 2016. She worked in the garden on whole campus composting with Aaron Schletter, grounds manager, during her recent time at Meredith. The gift will support an outdoor classroom with a kitchen and demonstration area. This new research space will provide a venue for nutritional and environmental education, research, and outreach. A greenhouse will allow for an extended growing season of edible plants and ornamental flowers, including the Meredith Hues Iris. The use of sustainable technologies in the garden will support and promote healthy food production. “We really want students to learn that it isn’t hard to grow sustainable foods and to try new things. It is so important that they learn the importance of eating healthy food and eating nutritionally good things that they can grow with ease,” said Sandifer. Current Food and Nutrition programs, such as the produce stand and Meredith Supported Agriculture (MSA), will also be greatly enhanced with these additions to the garden. “The Lawrence Family gift will promote sustainable food production and will serve to broaden the educational environment at the Dickson Community Garden. 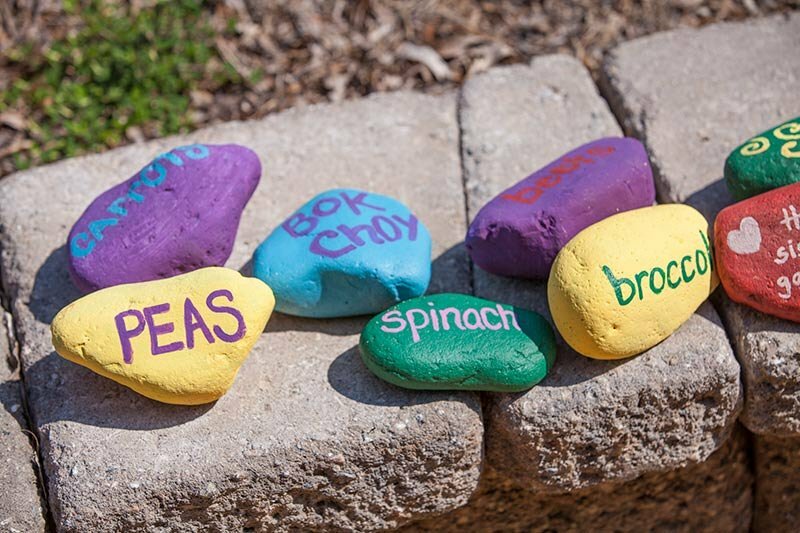 The gift will help to connect the campus community to a healthy, sustainable and dynamic garden environment,” said Aaron Schletter, grounds manager.